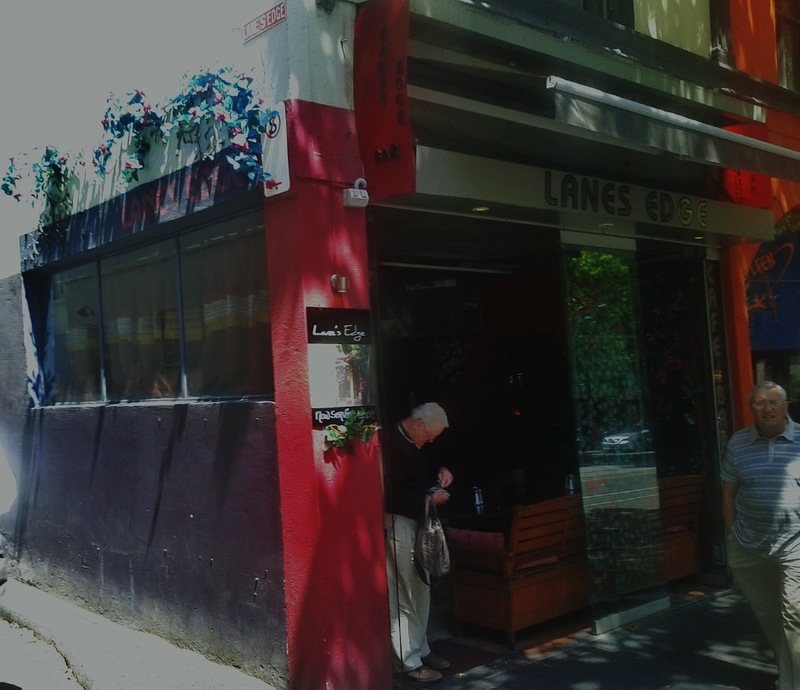 As the name suggests, Lane's Edge is a cafe restaurant on the corner of Bourke St and the Meyers Place laneway. There were a couple of people sat at the tables on the street. 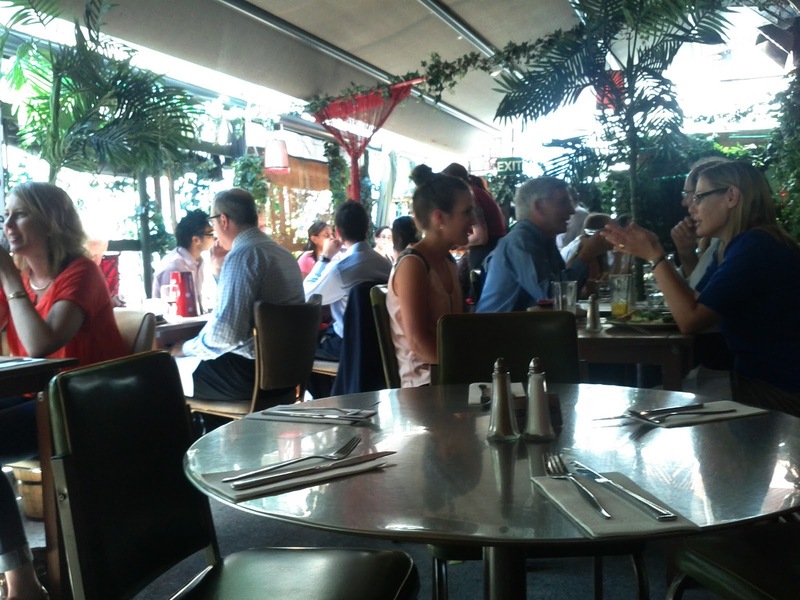 The tables inside were empty, and we headed through to the back area, which is covered but outdoor. 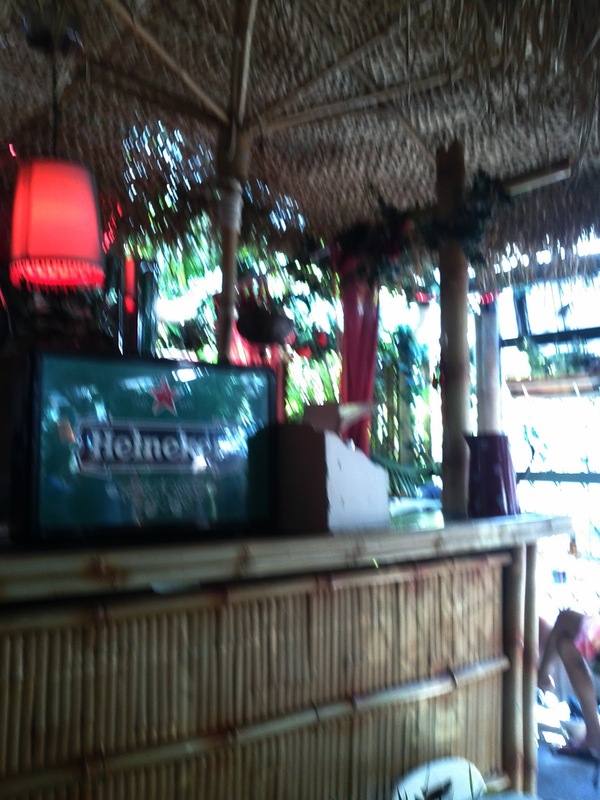 We were sat near the small bamboo 'bar'. 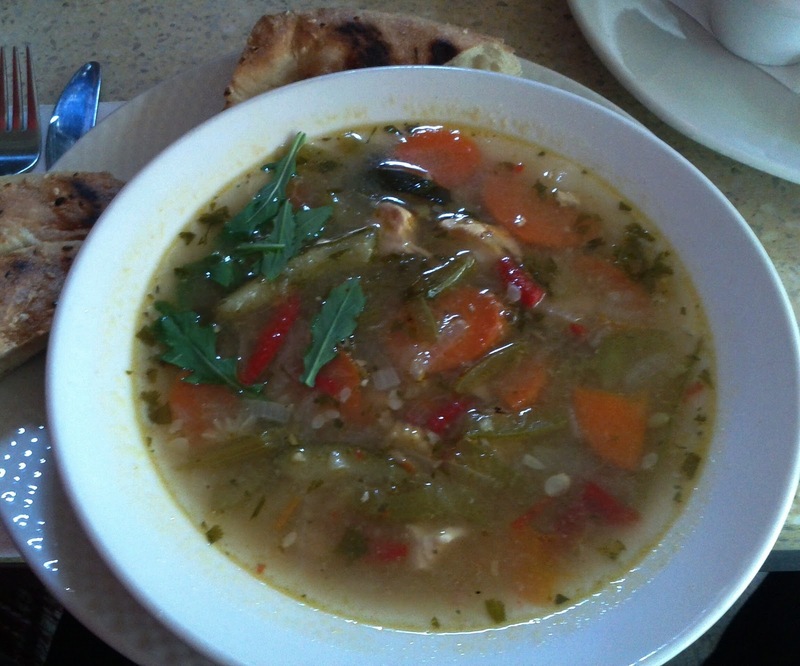 I chose the soup of the day, Thai style chicken and vegetable served with warm Turkish bread. For some reason I'd imagined this being coconut milk based, but it was actually a fusion of a european style broth and veggies with Thai flavours and a mild spiciness, and despite my surprise and slight scepticism was enjoyable. 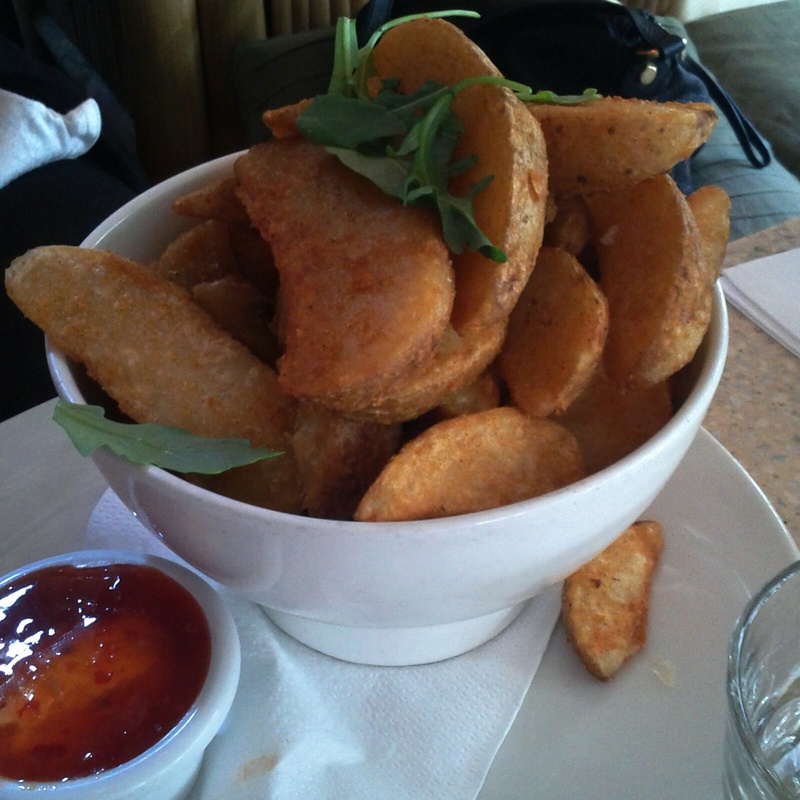 Linda went for the wedges which came with sour cream and sweet chilli. The bowl was as huge as it looks and certainly was pretty good value for only $8. Lane's Edge seems to sit across the categories of cafe, bar and restaurant, but on a weekday lunchtime is a good option to grab a bite. The service was friendly the food satisfying and good value.